Last school year, I got to participate in a great project that involved digital fabrication. The school librarian decided to use SeeSaw for sharing the project with the teachers, students, and parents. Each week, she would have the students make an entry in SeeSaw to document their progress. Student entries included written notes and videos. I conducted a focus group at the end of the project with the students. At the end of the focus group, I asked, “Is there anything else that you want to tell me about the project?” I was surprised about the topic that they chose. The students told me how they thought they should be assessed after completing lessons. They introduced the topic because they wanted to complete their assessments in an efficient manner. You might be thrilled to learn that students do not always think of using technology for completing classwork. Two of the methods they suggested did not use technology. They also understood that it was not appropriate for them to just say, “I liked the lesson.” They wanted to give input about what they learned and how to help them learn. I must give major kudos to the librarian for implementing an assessment after each lesson. Assessments are something that we often forget to do. 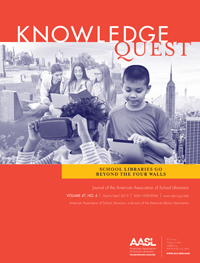 Many of us have transitioned from the classroom, and at the beginning of our school librarianship careers, we may be under the impression that assessment is not important anymore because of the mix of formal and informal learning opportunities in the school library. There are several reasons why we need to implement assessments. First, we need to check our students’ understanding of lessons. This information can be shared with classroom teachers and administration. Next, we need to document what we have been doing all year. At this point and time, circulation statistics alone are not going to help us. When someone asks you why your job is important, you want your rebuttal to be backed by concrete data. Wouldn’t it feel wonderful to say that after a unit about “ABC,” you can document that students are 75% more proficient on the skill? Finally, assessments are a way for us to check our own teaching methods. If we spend time teaching a lesson and most students do not understand the content, the lesson can be tweaked to improve it. Reflective practice is a way for us to grow as educators. On a scale of 1-5, how would you rate your understanding of the topic today? (Use a Likert or Smiley Face Scale.) Why do you feel this way? What did you learn today? What would you like to know more about from the lesson? Select the correct answers from the survey. List 3 things that you learned today about the topic. What can you do to improve your understanding of the lesson today? What was your level of effort today? What can you do to invest in your learning experience? How would you change group work in the future? What way would you like this lesson to be taught? Was there something about the lesson that was confusing? What can I do to make the lesson better for you? What can I do to help you understand the lesson better? There are numerous tools that can be used to create exit tickets. In addition to mentioning SeeSaw, here are some additional methods that you might consider using. Some of them are basic approaches that do not require technology. (Please mix these methods up and save the trees.) Remember, you want the assessments to be quick and easy to grade. 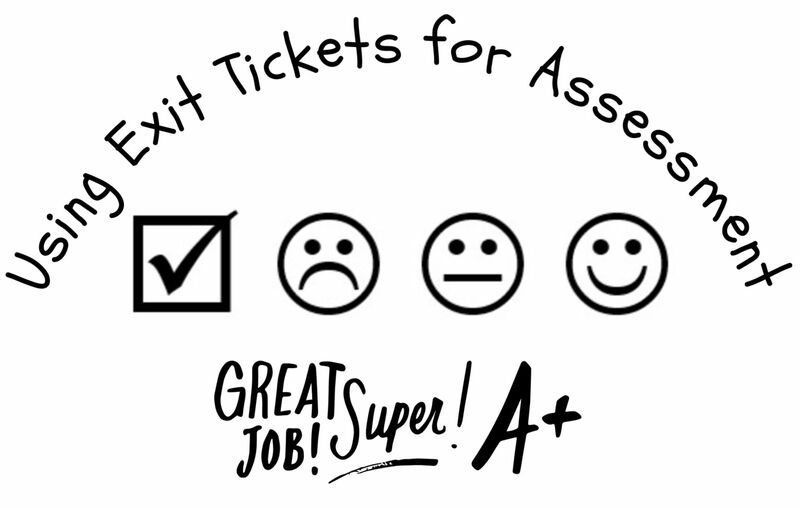 In conclusion, exit tickets can provide you with student assessment data. However, you still need to provide your students with some type of feedback. One way to accomplish this is by reviewing the exit ticket results at the beginning of the next class. 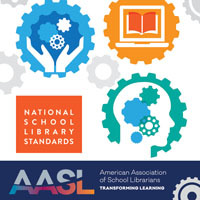 If you would like to know more about assessment in the school library, I highly recommend reading AASL’s National School Library Standards (2018). Chapter 12 is dedicated to “measuring learner growth.” The chapter defines the difference between summative and formative assessments, provides examples of rating schemes, and shares an assessment scenario. Appendix H, “Evidence of Accomplishment,” is also a good resource for assessments. See the “assessment” and “student product” lists. Please note that edWeb.net is hosting a webinar called “PBL and Assessment: How Do You Measure Learning in PBL?” on October 17. It is listed in the professional development chart below. American Association of School Librarians. 2018. National school library standards for learners, school librarians, and school libraries. Chicago, IL: ALA Editions. Danley, A., Ann McCoy, P., and Rahila Weed, P. 2016. “Exit tickets open the door to university learning.” InSight: A Journal of Scholarly Teaching 11: 48-58. Marzano, R. J. 2012. 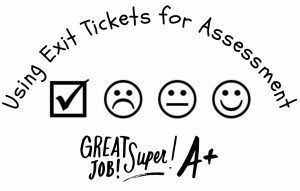 “Art and science of teaching: The many uses of exit slips.” Educational Leadership 70(2): 80-81. October 17, 2018 4:00 PM EDT PBL and Assessment: How Do You Measure Learning in PBL? 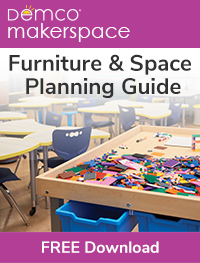 October 27, 2018 10:00 AM EDT Google Classroom: Setting Up, Organizing, Archiving, and More! October 27, 2018 12:00 PM EDT Google Classroom: Handling Assignments, Student Workflow, Communications, and More!